We enjoyed it. 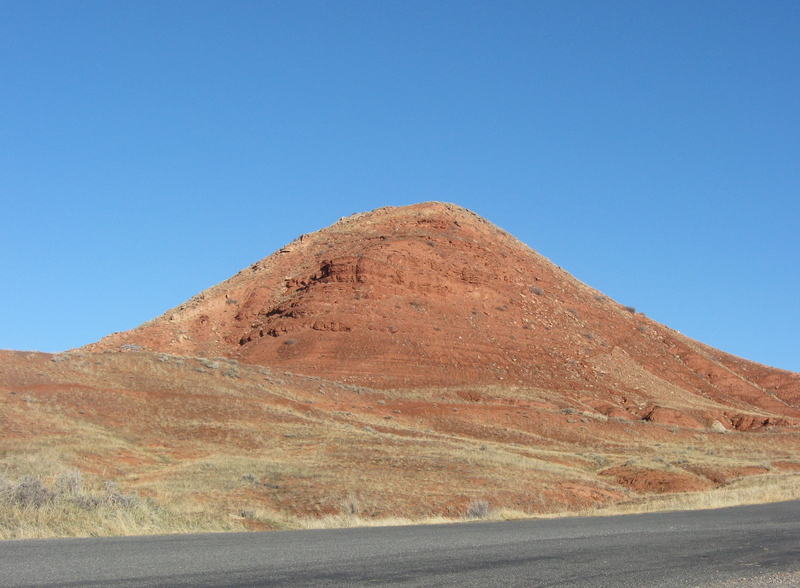 We were impressed by how dramatically terrain can shift in a matter of hours (we covered more than 4000 kilometers) and how much of what we passed was interesting or wondrous in some way. Okay, there were a few patches — in Wyoming — almost too desolate-looking for words, but I was reading Annie Proulx’s Close Range: Wyoming Stories – a collection I highly recommend – and for that, the patches were perfectly necessary. For the connection between place and art, I mean, which is what this post is sort of about. 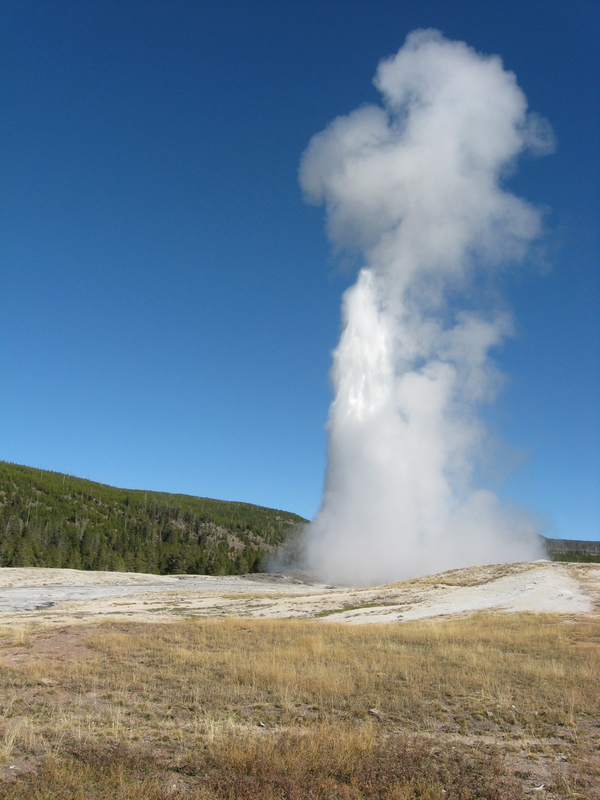 Tempting as it is to launch into a travelogue, I won’t, except to say that personal highlights included the petrogylphs near Thermopolis, Yellowstone Park, and the Heart Mountain Japanese Internment Center exhibit near Cody. Since it was October, we enjoyed the sights in relatively uncrowded circumstances – no need to book hotels in advance, etc. – which suited us fine, older birds that we are. And while looking forward to the Bookfest, I confess that I was also halfways dreading it after five days of being only the two of us. Because of all the people-interaction the fest would involve, that is, and all of them strangers to me. As usually happens, however, once there, it was very fine too. More than fine, in fact, because of the warmth and hospitality shown us in so many ways. The festival started 11 years ago, and the awards are in their seventh year. They’ve been growing year by year, with this year’s number of entries doubling last’s, nearly 200 in 9 categories. What intrigues me about this whole project is the way it’s creating a community of readers and writers that’s regional – vast-regional but also cross-border-regional. Except for the Richard Fords and Louise Erdrichs (both of whose latest books were finalists in the High Plains novel category this year) on the U.S. side, and perhaps the Alice Munros and Margaret Atwoods on the Canadian, we don’t know a lot about each other’s writers, especially at a regional level. Billings is doing something about that. It was a great pleasure to meet, and read and panel-discuss with, the other finalists in the short fiction category, Eric Freeze (Dominant Traits) and Barb Howard (Western Taxidermy). And it was a great honor when my What You Get at Home was the winner of the category award. The hidden narrative of place is only slowly revealed through time. I realized how interesting it was to stay in the same area. What H. and I got, road-tripping, was sights, and the first bits of story that “sights” can tell. We were always aware that we were visitors, however, and that ours was the tourist gaze, with its discoveries, its oohs and aahs, its strangeness, its appeal, but something inevitablity superficial too, prone to illusions, misunderstandings, quick judgments. I found myself grateful for Proulx and for the western artists featured in the gallery who were elaborating further our first-sight layers, deepening them, filling them with people. Royhl’s words also seemed an invitation as we turned our car homeward from Billings to Winnipeg. What are the narratives of place revealed to me already, in my corner of the plains, this city, where I’ve lived more than three-and-a-half decades? What narratives remain to be revealed? If I keep ears and eyes open, that is. While wending our way home to Winnipeg, I also read. (The terrain changes, yes, but not so drastically on some stretches of the plains that you can’t have your head in a book too. As a passenger of course!) 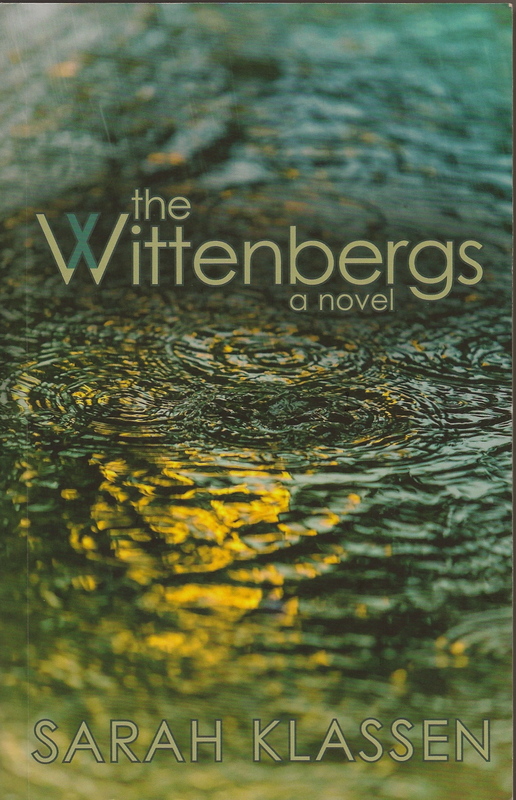 Now it was The Wittenbergs, a most enjoyable multi-layered novel of family, recently launched by friend and fellow writer Sarah Klassen. The story is set in Winnipeg, but interspersed with incidents that take place in Russia (now Ukraine) and it ends, movingly, with the main characters on a tour to their Mennonite roots in Russia. Here again, the interplay of art and place, a resonance for me because its place is also my place, and for the Russia-place I haven’t seen, a further coming-to-know through stories. How do place and art intersect for you? P.S. 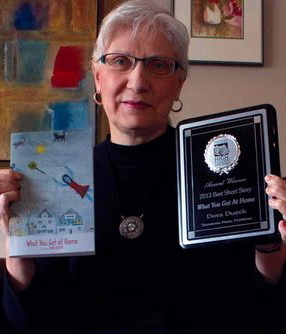 If you’re interested in reading more about the awards: High Plains Book Awards, a press release from my publisher (Turnstone), and a lovely article in our local paper. This entry was posted in Art, Books, Writing and tagged Annie Proulx, Barb Howard, Billings, Close Range, Dora Dueck, Eric Freeze, High Plains Book Awards, Robert Royhl, Sarah Klassen, The Wittenbergs, What You Get at Home by doradueck. Bookmark the permalink. Congratulations Dora! I’m proud that I know you personally! I’m mulling over your last question: “How do place and art intersect?” I’ve been to so many places . . . hmmm. . . I read your post a second time and these words jumped out at me. I remember how little I really knew about Congo when we returned to Canada for a short time after two years, and how much I learned in the ensuing 15 years there. I also thought of the artist Ray Dirks who went there for a two year service assignment and became an artist depicting this experience and sponsoring struggling artists all over the world. Sorry, Elfrieda, I think I inadvertently neglected to “approve” this comment — which of course I do! Thank you! I love the way you mull over things, and especially over the places you’ve lived.